What Europe do you want? 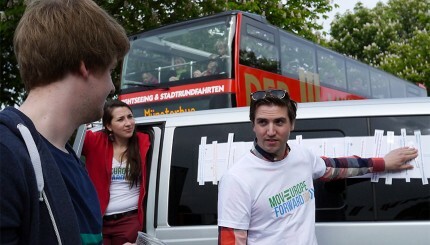 After a 13 hour drive from Münster to Graz the MovEuropeForward bus held its 3rd successful activity day on the 3rd of May in Graz’s main square. At first the weather played a trick on the MovEuropeForward bus team. It did not only rain cats and dogs but the team had also to endure hail. With the help of JEF-Steiermark, the Europe-Centre Europe-House-Graz (“Europazentrum Europahaus Graz”) and the pupils union “Steierische Schülerunion” the event was successful in the end, although the teams lost some time waiting for the rain to stop. The main square turned out to be the ideal spot for the activities: people of all ages and of different backgrounds were attracted by the stand. The reactions regarding the activities and the teams were very positive. Thanks to JEF-Steiermark the MovEuropeForward bus team could assist to a debate of candidates regarding upcoming European Parliament elections (22nd – 25th May) in the town hall of Graz. Present were candidates from the ÖVP (Austrian conservative party), the SPÖ (Austrian social democrat party), the Grüne (Austrian Green party), Neos (Austrian social-liberal party) and the FPÖ (Austrian populist right wing party). The debate touched subjects like education issues, energy policy, the financial crisis, climate change, the growing gap between the rich and poor, sustainable development, transparency and democracy. Real passionate was the debate about the TTIP: Even if they did not agree on all points, the candidates of the Neos, the SPÖ, Greens and ÖVP agreed in not accepting the current secret and therefore in transparent and undemocratic negotiations of the TTIP. Nor do they accept a loss of social, environmental or consumer protection standards. The main debate was about populism, its dangers and ways to deal with it was the main subject of the debate. (For further interest klick here). The pupils union “Steierische Schülerunion” also organised a “Europe Dance” flash mob on the main square of Graz. Next to lots of people, members of the pupils union, 3 persons in monkey costumes and a girl in a traditional dress, Johannes Frank from the ÖVP as well as Jürgen Angerer from the FPÖ participated in the Europe Dance. The flash mob was really fun! Thank you very much Steierische Schülerunion for your organisation!!! All in all the 3rd MovEuropeForward bus stop was – despite the moody weather – a successful day! Many thanks to JEF-Steiermark, the Europe-Centre Europe-House-Graz (“Europazentrum Europahaus Graz”) and the pupils union “Steierische Schülerunion”! 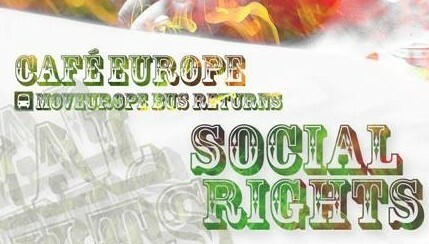 Final event: Social rights in Europe? A personal note from Lioba Donner – why MovEurope is important! A new start for Europe; or more of the same? Ask your Head of State and Government to respect our vote! ←A personal note from Lioba Donner – why MovEurope is important! 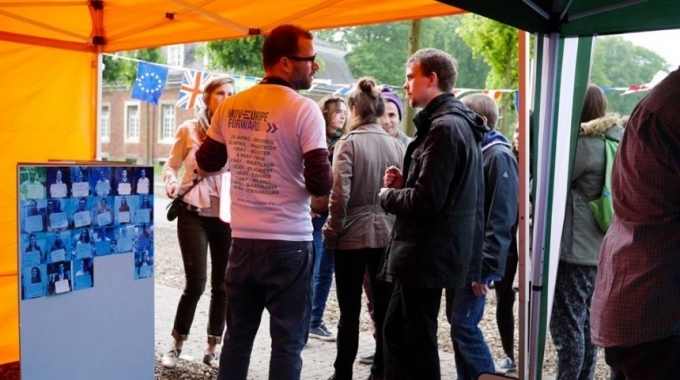 Help us to MovEurope Forward in 2014, we need your support!